PNG swimmer and flag bearer Ryan Pini unsuccessfully contested a spot in the IOC Athletics Commission. Photo: Zimbio. Oi (Bula) from the Rio Olympic Village. 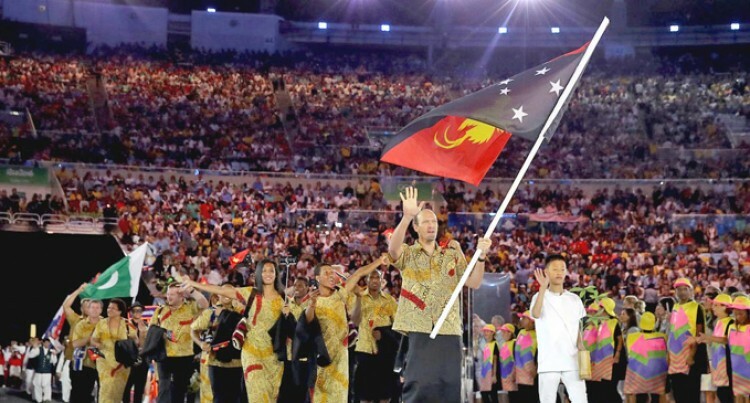 Papua New Guinea’s Ryan Pini is thankful for being able to contest one of the four vacant positions in the International Olympic Committee Athletes Commission. “Good experience, it was worth a try” said Pini at the announcement of the final winners. Pini managed 240 votes compared to the four who each raked in over a thousand each. And now that all the Pacific Island National Olympic Committees (NOCs) have completed competition proper in the 31st Olympiad, it is time to set course for home. Last minute sight-seeing and shopping have been the order of the day. Team Fiji have a Brazilian type dinner with lots of BBQ meat at the Rio Brassa restaurant not far from the Games Village. The doctors and physios as well went out for dinner after a visit to ‘Christ The Redeemer’. FBC TV journalists Vashneel Kumar and Rohit Prasad I am told also visited the ‘Christ The Redeemer’ statue. At the Games Village, the Oceania National Olympic Committee (ONOC) team led by Natanya Potoi Ulia with the assistance of the chef de missions organised a get together to thank the volunteers assigned to each island country. It was a touching occasion with each volunteer given a gift from the islands. These volunteers have given their time and effort to assist the island countries. Organising Committee’s National Olympic Committee Relations coordinator- Oceania, Virginia Figueredo says the volunteers will cherish their time with the Pacific Island countries. Figueredo hopes that despite all the challenges people will go back with fond memories and friendship from Rio. The volunteers will assist all the teams depart the village starting with Team Fiji. As for me, I have to see off media colleagues from Fiji Sun, Fiji Times and FBC TV who have brought you coverage in the last three weeks. That’s it from me so until tomorrow ‘boa noite’.